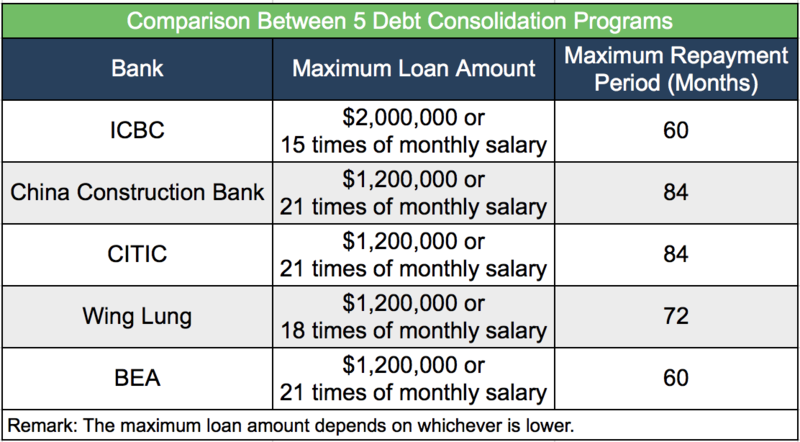 What are the most important factors to consider when comparing Debt Consolidation Programs? When considering a Debt Consolidation program, you must take note of the annualized percentage rate (APR), repayment period, and the maximum loan amount. A friend of mine was suffering from a lot of pressure at work, and turned to a little retail therapy to help relieve her stress. It feels amazing in the moment, but unfortunately, it left her with a little debt to pay back. I suggested that she look into the Debt Consolidation Program in order to get a loan with a lower APR. This would allow her to pay off her credit card bills with a lower interest rate, without having to make the minimum payment and take the higher interest rate on her credit card. Debt Consolidation Programs allow applicants to consolidate their debts into a lower interest loan, which lowers the repayment amount and shortens the repayment period. ICBC has the lowest annualized percentage rate of all. After contacting ICBC’s staff for confirmation, they informed us that the APR shown on the website is only applicable to applicants with a credit score of A. If the applicant is already in debt, there is a high chance that he/she may not maintain a credit score of A. If the applicant’s credit score is graded a the APR will likely be increase to 4-5%. However, the highest APR for ICBC’s balance transfer plan is 15.3%, which is still lower than all of the other banks. Both ICBC and BEA have higher repayment periods – ICBC’s minimum repayment period is 12 months and the maximum is 60 months. This is less flexible than the other banks – China Construction Bank and CITIC provides a flexible repayment period of up to 84 months. 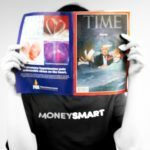 The loan amount can be up to $2,000,000 or 15 times your monthly salary (whichever is lower), which is a lower minimum income than what other banks require (usually 18 to 21 times your monthly salary). The highest loan amount can be up to 21 times of your monthly salary! If we compare the maximum loan amount based on the monthly salary calculation, China Construction Bank, CITIC and Wing Lung offers the highest loan amount of all banks – you can get a loan amount up to 21 times of your monthly salary! China Construction Bank and CITIC offer the longest repayment period up to 84 months, meanwhile BEA only offers up to 60 months. Plan your monthly expense ahead – write a shopping list and stick to it. Putting it in writing makes you aware of items that you really need and makes you think twice before purchasing something that is not on your list. Set an expense budget and strictly follow it. Avoid impulse purchases, and before you do buy something, think about it’s function and practicality. This exercise will help you take a step back and think about whether you really need the item.